Abandoned and forgotten spaces are at the centre of Ruin and Redemption in Architecture, a new publication from Phaidon. Author Dan Barasch discusses the importance of these structures, revealing how imaginative repurposing can benefit communities. A: The publication highlights many historic, Brutalist and Modernist buildings that have been demolished in recent years. How does this come about, and why is it important to continue telling these stories? DB: Broadly speaking, I think there is a general lack of awareness or understanding of the value of Brutalist and/or Modernist architecture. I believe there are many instances where city planning officials or private real estate developers genuinely see little interest in buildings that may not appear worthy of preservation. They also may not be particularly popular among residents beyond the design community. Coming from the perspective of New York City, however, I see historic spaces under constant threat of demolition. Developers often prefer larger and more flexible floor plates and interiors to accommodate big-box retail or contemporary residential demands. Brutalist and Modernist masterpieces deserve their rightful preservation alongside more traditionally popular architectural styles. They often convey a unique and ambitious sensibility, a magical or even dystopic whimsy, and a utilitarian vision that continues to inspire us today, in ways that other architecture simply cannot. La Fábrica, Sant Just Desvern, Spain; Ricardo Bofill; transformed 1975–. 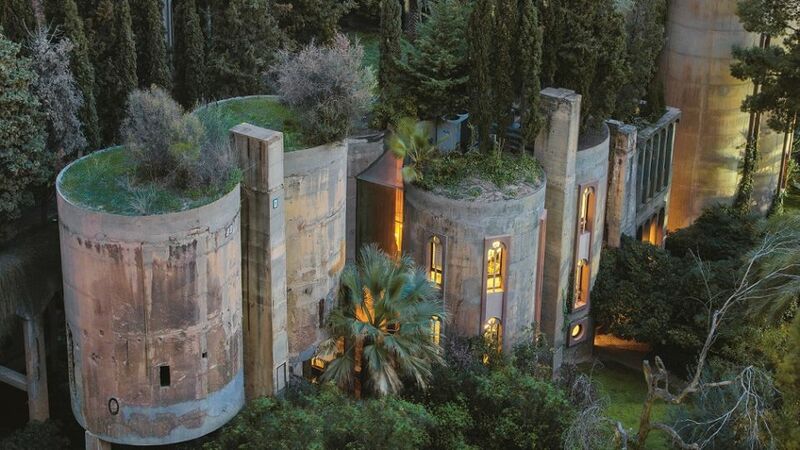 Picture credit: RICARDO BOFILL TALLER DE ARQUITECTURA. A: Ruin and Redemption demonstrates how architects are reimagining and repurposing abandoned structures. Can you give some key examples? DB: Around the world, we are increasingly seeing ambitious architectural designs dramatically reimagine and transform abandoned structures. A new slate of obsolete industrial infrastructure built during the twentieth century – from factories to corporate headquarters to transportation hubs and lines – has inspired adaptive reuse. In my book I focus primarily on projects imbued with some sense of public spirit, in which an abandoned site becomes a public park, museum or cultural attraction. There are of course many examples of more commercial projects: the transformation of historic buildings into new high-end, luxury retail or residential areas. I tend to be a bit more inspired by the former. A: What is the significance of this approach to building – especially considering today’s environmental concerns? DB: I’m not sure adaptive reuse will save the planet, but it will save that part of us that seeks communion with the past. Reclaiming abandoned spaces may in some cases relate to a reduction in resources needed for construction. Often, it is more expensive and technologically or materially intensive than simply demolishing and starting over with an entirely fresh slate. If we expand our understanding of “environmental concerns” to include the overall effect of an urban space on its residents’ well-being, I think historic preservation and transformation will leave an incalculable social and visceral impact: we will acknowledge and remember that our shared history is valuable, beautiful and worthy of protection, and that old can live peaceably, happily, even best, among and between the new. Glenwood Power Plant, Yonkers, NY, USA, Reed and Stern; completed 1907, abandoned 1968. Picture credit: Courtesy of Lela Goren Group. A: How can transforming buildings in this way benefit communities? DB: Communities benefit when there is a shared understanding of, and connection to, their surroundings – as it stands today and as inherited from previous generations. People want to feel like they belong to something greater than themselves. People need roots. All land, especially in cities, is inherently political. It is important that residents feel they are a part of the political process and valued in the development of their neighbourhoods. By investing in historic structures, we invest in the people that live, work, and play nearby. A: What are the challenges facing designers with a vision for renovation and renewal? DB: Designers face multiple challenges when they seek to renovate and renew abandoned architecture. They are confronted first and foremost with the tension between honouring the past and welcoming the future. Should an historic structure adhere entirely to its former uses and design elements, and how if at all should it be modified? Can auxiliary features add to the overall effect, or will it demean or even destroy the original design intent? There are more practical challenges as well: renovations are often more expensive than simply demolishing and starting over, so a case needs to be made for the intrinsic value of the original building. Often, this process requires a complex maze of political approvals and fundraising hurdles which makes it appear daunting. Villa Zarri, Castel Maggiore, Italy; completed 1578, abandoned 1990s. A: What are your personal highlights from the book? DB: It was fascinating to study the human elements within these stories of renewal. What drives people to fall in love with abandoned spaces, and devote large portions of their time to their transformation? What are the pitfalls they face, at the local level, in fundraising, on political fronts, and from technical standpoints? 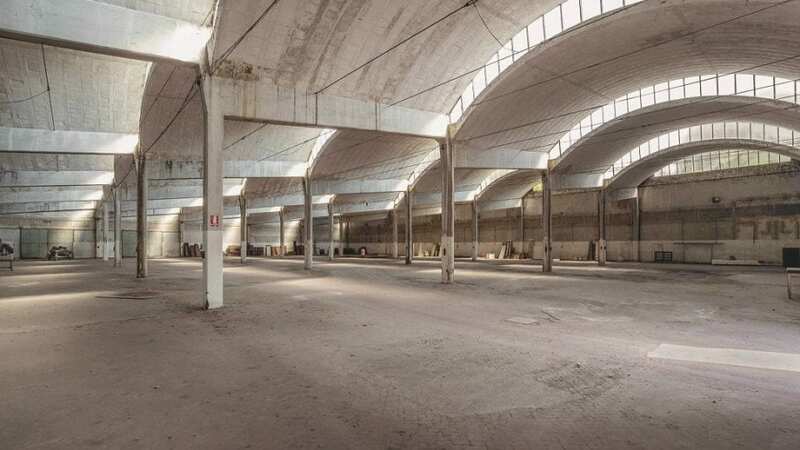 In some ways, the most beautiful and pure moments in these design journeys are the first instances of discovering an abandoned or dilapidated site, and visualising what is possible. In those earliest encounters, one can simply dream without limits. No political trade-offs or difficult fundraising goals need be met; no challenges must be overcome. It is simply a moment of wonder, and awe and creativity. And that is just why – and how – these fantastical, brilliant transformations often begin. Ruin & Redemption in Architecture by Dan Barasch £39.95 is published by Phaidon. Find out more here. Lead image: Les Docks Cité de la Mode et du Design, Paris, France, Jakob + MacFarlane; transformed 2009. Picture credit: JAKOB + MACFARLANE. An exhibition celebrates the bold architectural landmarks of the 20th century through images by influential photographer Ezra Stoller.